THE removal of a lane on the Princes Bridge is causing traffic chaos on Melbourne’s already clogged roads. The flow-on impact of dramatic changes to the bridge is being felt on the Swan St Bridge, putting extra pressure on other nearby routes and is adding up to an extra 38 seconds for cars to get through the Flinders St intersection during peak times. Peak-hour drivers stuck in traffic slammed the decision to remove one city-bound lane, saying it added anywhere from five to 30 minutes to their travel time. The RACV said frustrated drivers were turning off St Kilda Rd on to Southbank Boulevard because the traffic was not moving or moving at a crawl. “We have observed cars in the through lanes on St Kilda Rd at Southbank Bouvlevard seemingly waiting for the left turn lane to clear and then getting frustrated and making a last-minute change and heading down Southbank Boulevard,” manager roads and traffic Dave Jones said. It took the Herald Sun 12 minutes one morning last week to drive the 1.5km from Dorcas St, South Melbourne, to Flinders St Station. Another morning it took seven minutes. The City of Melbourne controversially removed one lane of northbound traffic on the bridge last month in a move opposed by the RACV and VECCI. The three-month trial, expected to cost $70,000 and part of a plan to make the city more bike-friendly, reduced the number of cars queuing northbound on the bridge from 44 to 22. Hampton woman Joanna Finney said the bike lane should be put back on the bridge footpath. “It has added another fifteen minutes to my commute and unfortunately there is no other way I can get to work,” she said. About 34,000 motorists, 31,000 pedestrians and 5500 cyclists use the bridge each day. Cr Richard Foster said he was very concerned at some of the anecdotes he heard about peak-hour waiting times but was waiting for official council data to make a proper assessment. “`I am hearing stories of people waiting beyond the bridge for an additional 10 minutes,” Cr Foster said. St Kilda Rd resident Marise Cheney said she thought traffic had gotten worse since the trial started and she was catching the tram more than driving. “If I can I postpone appointments until after 9am,” Ms Cheney said. 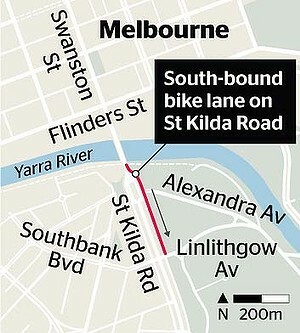 Council revealed last week it would remove a lane of southbound traffic on St Kilda Rd between Alexandra Gardens and the Floral Clock to make way for a new bike lane. 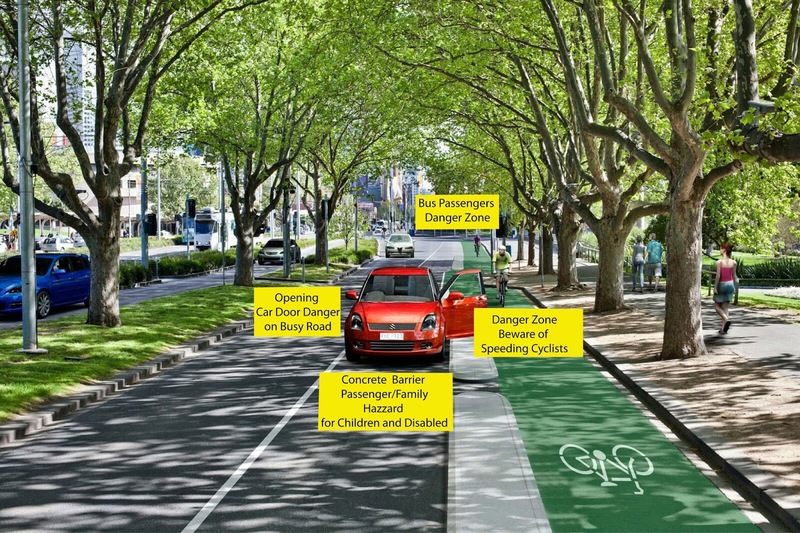 Council Engineering Services claims that the new bike path is needed to improve cyclist safety. 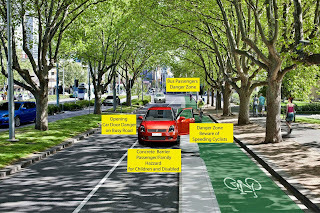 Experience on the Latrobe Street bicycle paths indicates that public safety has not improved instead motorist are forced into opening doors into moving traffic and passengers safety alighting from parked vehicles is at risk. 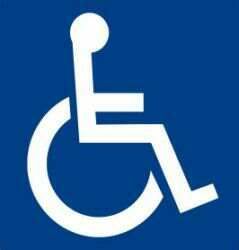 Particularly the elderly or disabled who park in this section of St Kilda Road to access the Art Gallery and nearby parkland. Whilst we see no problems in removing a lane of traffic (there are currently three lanes along St Kilda Road) there is no need to install concrete island separation barriers. The current City Council has not voted on the proposal, The decision to go ahead with the Engineering folly was decided under delegation behind closed doors with the blessing and support of the Lord Mayor, Robert Doyle. 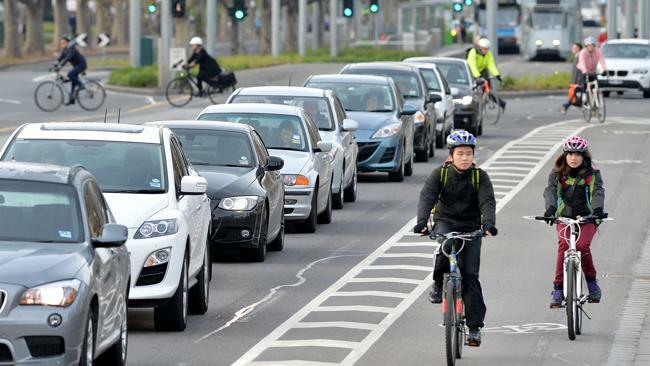 According to Vicroads data less than 2,000 cyclists use St Kilda Rd per day. The City of Melbourne is employing Google Earth-style camera monitoring of its property in inner city residential streets. Linda Bond, a Carlton woman told Tom Elliott she saw a council contractor filming backyards, with the camera gazing over fences. “I was home one afternoon and I saw a camera on a stick peering into my backyard,” Linda said. “I walked over to the car with the camera attached and I asked the people inside what they were doing and they said they were taking photographs for the council.